Replacing obsolete light bulbs and ballasts. By using the most efficient and modern fluorescent bulbs (both tubes and globes), and the most modern ballasts, the power required for lighting can be reduced by more than 60%. The higher efficiency of this lighting reduces heat generation, and thus significantly reduces the air conditioning load in the summer. Motion-activation for outdoor lighting. Some outdoor security lights that were previously on all night are now motion-activated, to maintain security but reduce energy consumption. Water heater off at night. The electrically-powered water heaters are now turned off at night, and on weekends. Reduced air conditioning. The air conditioning is now activated on an "as-needed" basis, rather than as an automatic routine. Efficient computer monitors. Old CRT-based computer monitors have been replaced with low-power, Energy-Star compliant monitors. Turning server computers off. Some server computers that do not need 24 hour operation (i.e., accounting servers) are now automatically shut down outside of regular business hours, instead of running continuously. High-efficiency switching power supplies. 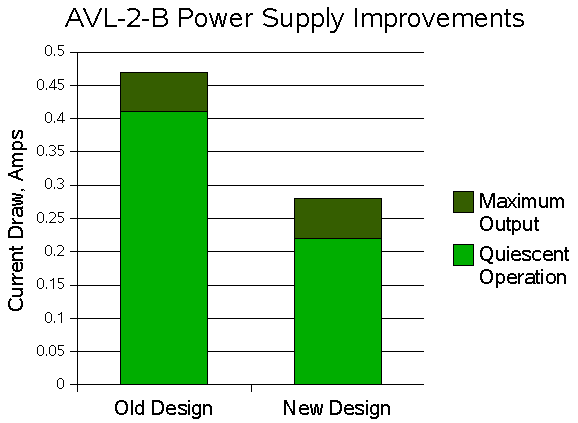 Switching power supplies waste much less power than older non-switching power supplies. The quiescent power consumption can be reduced by as much as 50%. Power factor correction. Power factor correction makes the instrument appear like a resistive load to the power utility, which simplifies power generation and distribution. As a typical example, the AVL-2-B-P pulse generator with the new switching power supply design now draws between 0.22 and 0.28 Amps, when powered from 115V AC. The old design consumed between 0.41 and 0.47 Amps under the same conditions. 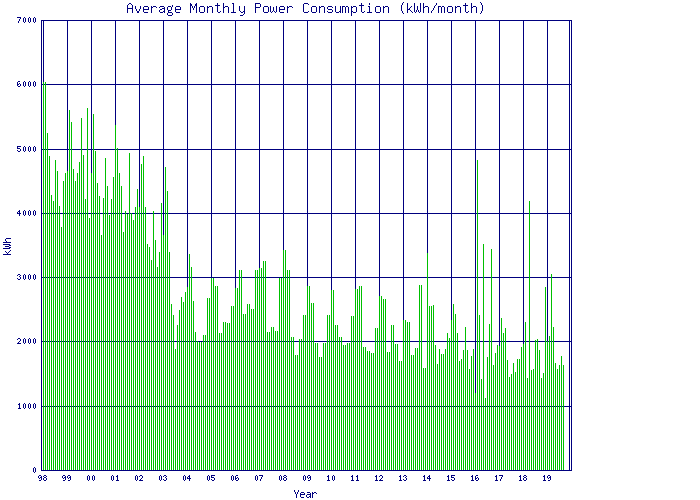 This represents a 43% reduction in power consumption, on average! Paper. Non-sensitive paper waste is directly recycled. Sensitive documents are shredded and then recycled. Metals. Scrap aluminum, copper, and other sheet metals are sold to a recycling firm. Scrap PCBs. Scrap circuit boards are returned to a local recycling facility, for no-charge recycling. Light bulbs and ballasts. Fluorescent light bulbs and ballasts that are removed due to upgrading or failure are returned to a specialty recycler for refurbishment and re-use. This helps divert electronic waste out of landfills, and back into useful service! All new Avtech bare circuit boards use a lead-free White Tin or Electroless Nickel / Immersion Gold (ENIG) finish, rather than a tin/lead solder finish. 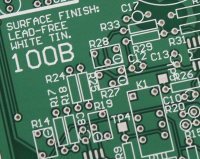 All Avtech circuit boards that are assembled by sub-contractors use lead-free SnAgCu-based (or "SAC") solder wire and paste. All in-house assembly jobs now use Sn95.5Ag3.8Cu0.7 (or "SAC") solder, except in a few specialized applications that require low-temperature processing. Avtech instruments are considered "Monitoring and control instruments" (Category 9) as defined in Annex 1A of Directive 2002/96/EC on waste electrical and electronic equipment (WEEE). The RoHS directive only applies to WEEE categories 1-7 and 10, as stated in the "Article 2 - Scope" section of the directive. As such, Avtech instruments are exempt from the RoHS requirements. However, Avtech is working towards voluntary compliance, by switching to components which are RoHS-compliant, and through our Elimination of Lead effort. European customers who wish to order directly from Avtech should refer to this document (PDF format) for details. European customers who order from Avtech representatives within the European Union should discuss any WEEE concerns with the representative, as the legal burden of compliance will normally lie with the representative (rather than Avtech or the end user).